Recently Apple introduced the butterfly mechanism on its new MacBook and it is said to reduce thickness and increase typing precision. 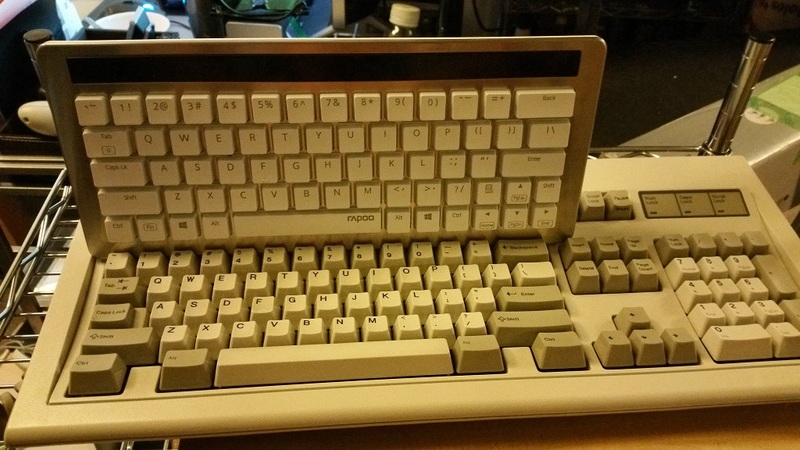 Besides, we’ve already seen the wide popularity of scissor-switch keyboards. So, I never think there is still a market for mechanical keyboards. Many of us can remember the time we have to deal with those mechanical keyboards. They always remind me of the loudness, expensive price and ugly design. It had been a few years since the last time I touched a mechanical keyboard. 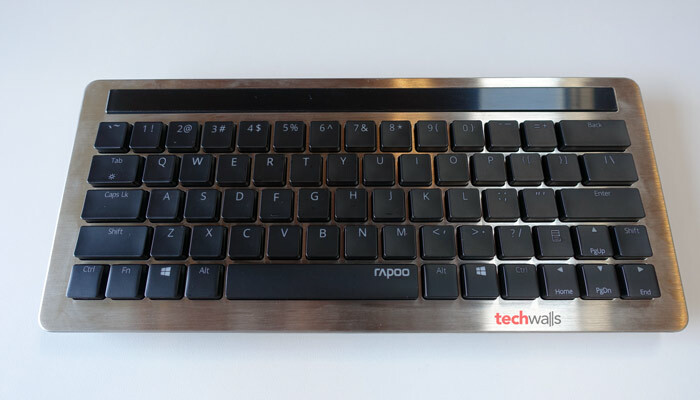 In the last few weeks, I got the chance to test the Rapoo KX Mechanical Keyboard. Is it good enough to convince me to come back? Keep reading for my review of the product. In general, the Rapoo KX Mechanical Keyboard is a well-designed keyboard. It is compact enough for you to throw in your backpack and bring it anywhere. I love that it looks better than my old keyboards, it is made mostly out of plastic but the top frame is a stainless steel panel. The brushed surface looks great but it doesn’t feel as smooth as the one on high-end products. The keyboard has a tenkeyless layout, so there is no numpad on the right side. On top of the keyboard, there are capacitive function keys with tactile feedback. The keyboard is designed for Windows devices, so you can see some dedicated Windows keys that can’t be used on Mac, Android and iOS devices. 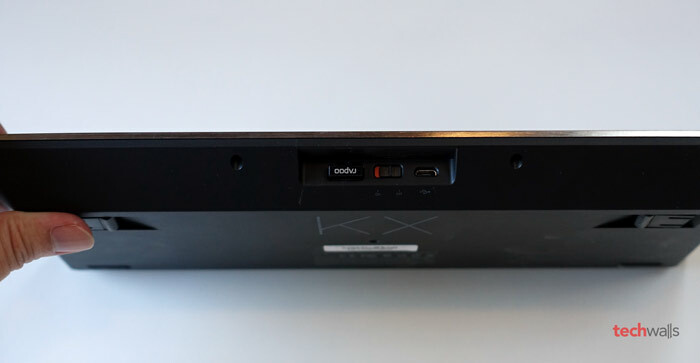 On top of the keyboard, you can find a power switch, a micro-USB port and a slot holding a wireless USB dongle. 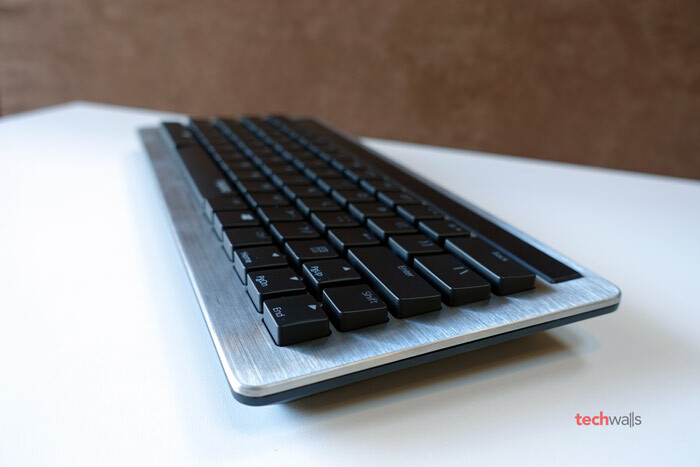 As this is a dual-mode wired/wireless keyboard, you can either use the included micro-USB cable or plug the dongle to your PC to start using it. There are two levels of backlighting, you can adjust it easily by pressing Fn + Tab. On the first few days testing the keyboard, I really hated it because it is so loud and I made a lot of typos. The keys are thick and placed close together, so I accidentally pressed on neighboring keys very often. However, after getting used to the keyboard again, I must say that each keystroke delivers a very satisfying feeling and I can type a little faster. Now I understand why people enjoy typing on a mechanical keyboard. However, somehow I still make many typos, probably because the keys are quite sensitive and just a light touch can register a key. The battery of the keyboard is quite good, I can use it for nearly a week without any charging. And if you plug it into your computer, you don’t have to worry about the battery life at all. The Rapoo KX Mechanical Keyboard is available on Amazon for around $80. I like the feeling typing on the keyboard but I no longer use it because I don’t want to carry an extra keyboard with me all the time. Besides, I can type faster but I can’t learn to reduce typos, so the performance is almost not improved in my experience. On the complaint, “…the keys placed closer together”.. I call BS. The keys are larger and the key spacing is standard size. You have no credibility as you CLEARLY did not use this keyboard. That’s when I compared it to my chicklet keyboard, the keys are obviously closer and easier to make typos. I used the keyboard for a week.